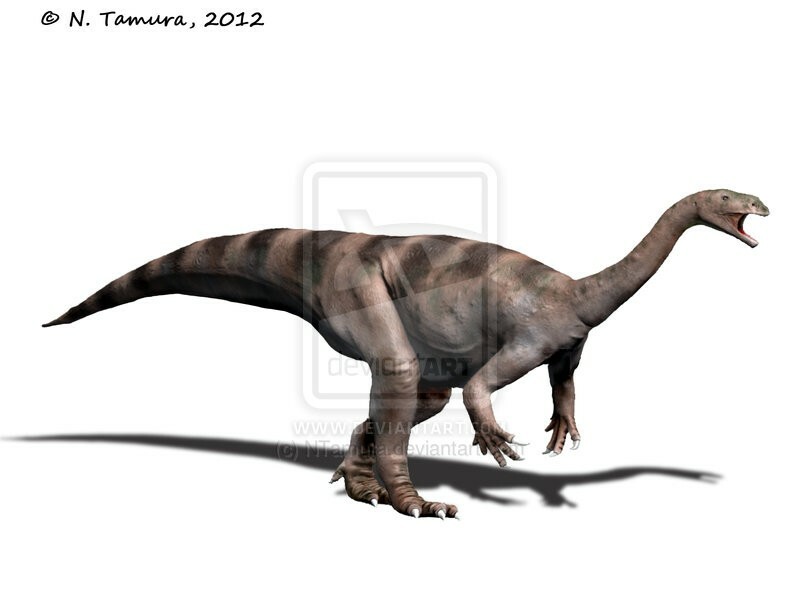 Plateosaurus was a herbivore. 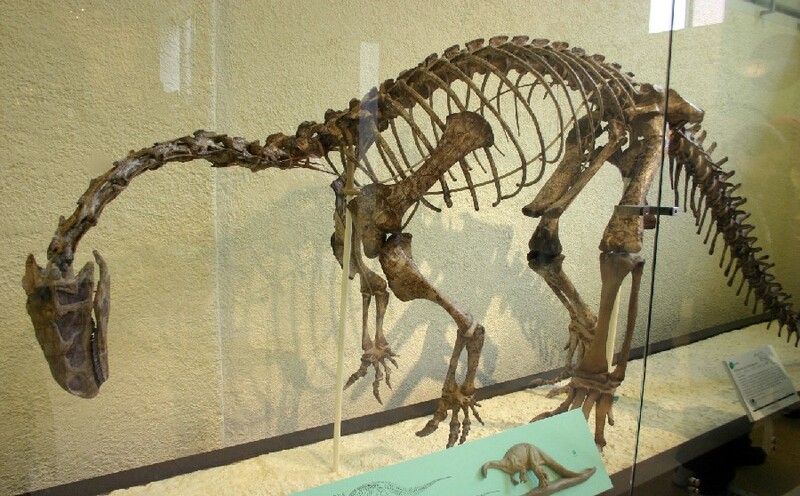 It lived in the Triassic period and inhabited Europe. 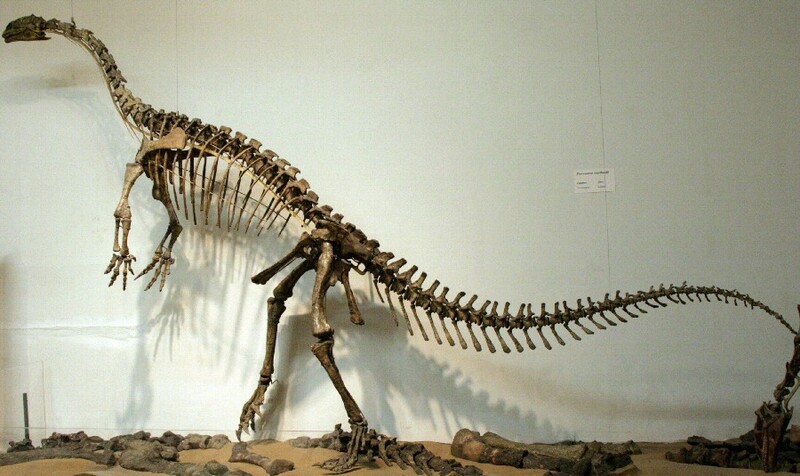 Its fossils have been found in places such as Thuringia (Germany), Greenland and Lorraine (France). 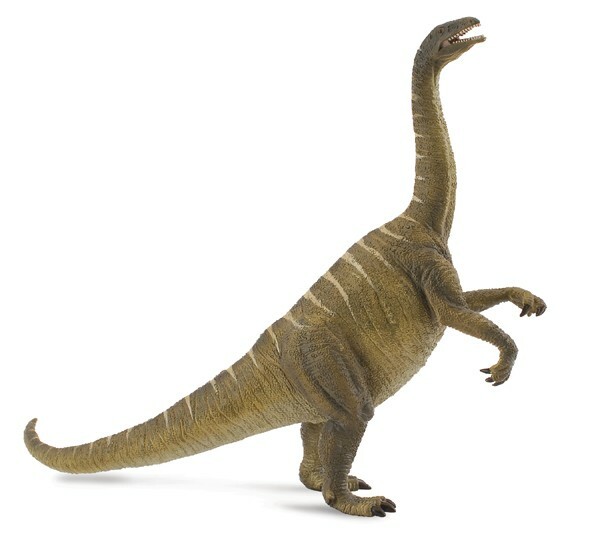 The word “Dinosauria” was first printed in 1842, at the beginning of the paleolontogical revolution which is still going strong. 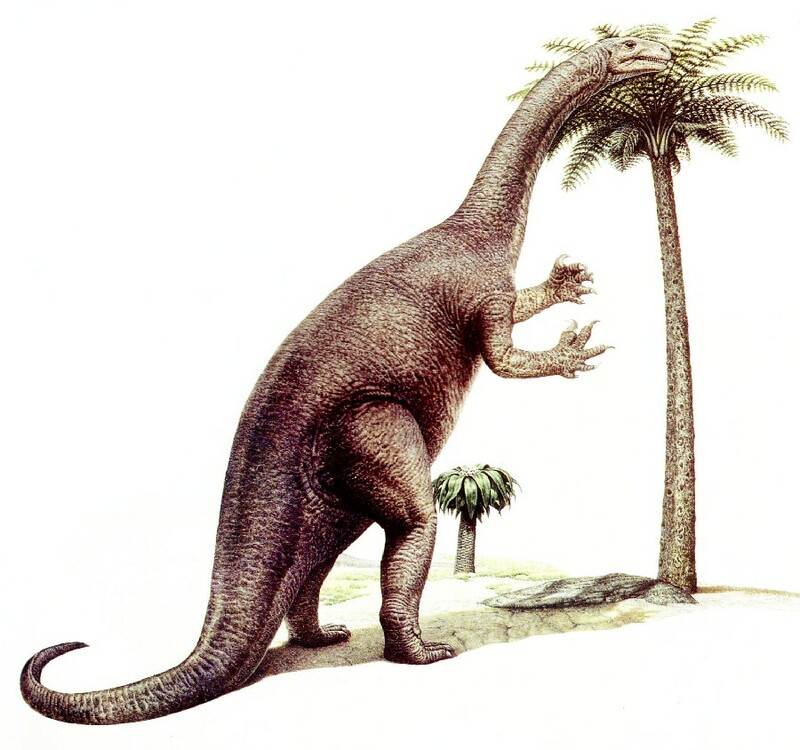 And in those early days, Plateosaurus was one of the species which fired the imagination of scientists and schoolkids alike. 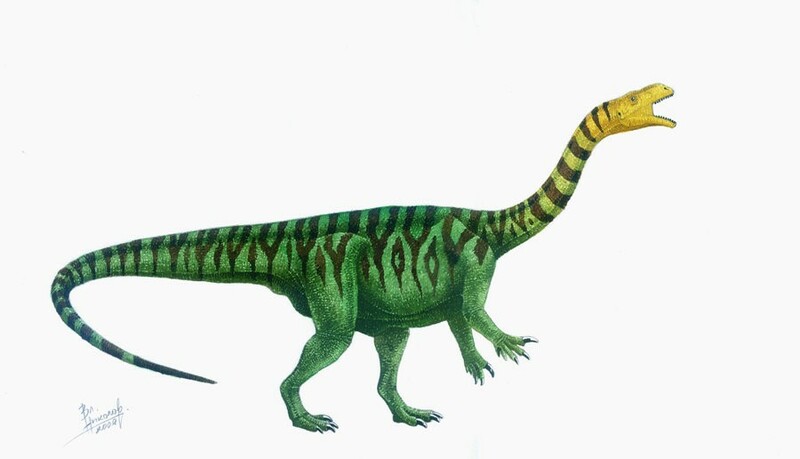 The first specimen appeared in Swabia, Germany, in 1834. 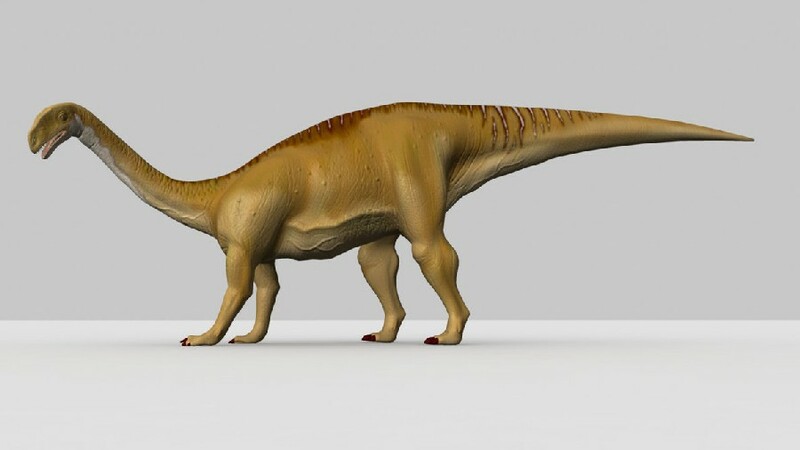 But since then, more than 100 fossils have been uncovered in Swabia, which makes Plateosaurus one of the best-known dinosaurs ever. 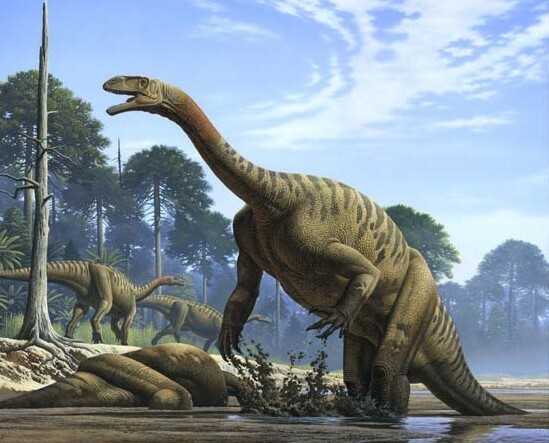 Many of these two-ton creatures may have met their deaths in swamps or quicksand. 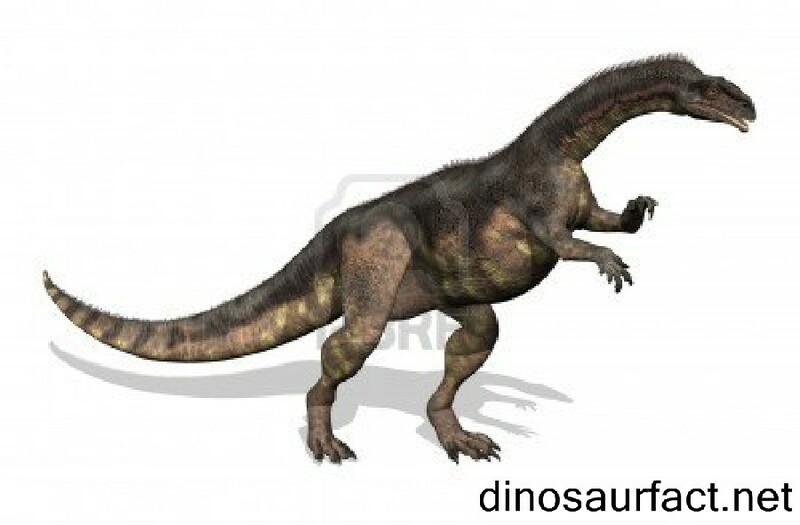 Plateosaurus was a plant eater, some 33 feet long, dating back to the Triassic, standing on its hind legs. 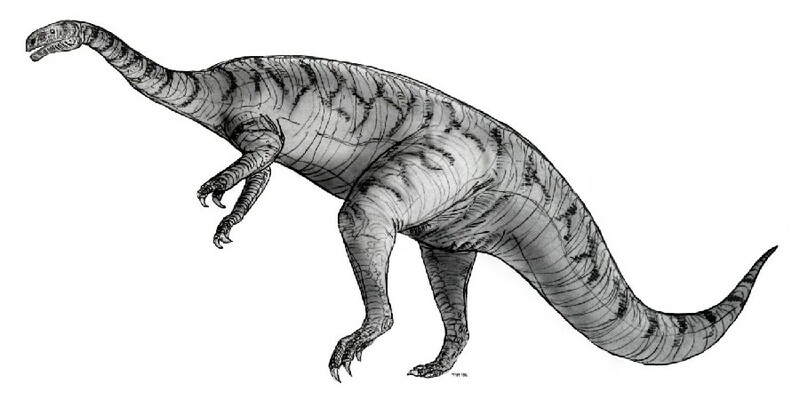 But the much shorter forelimbs were still functional, with three fingers capable of a crushing grip. 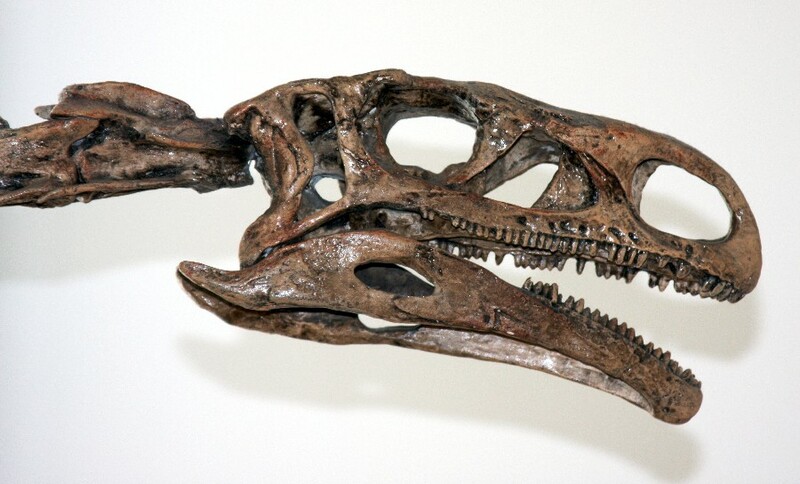 Plateosaurus fragments have been recovered from Greenland, and sea bed drill cores off the coast of Norway.